I decided to be ‘one of those guys’ and placed an ad on Craigslist looking for an ARP Odyssey (really want one!! 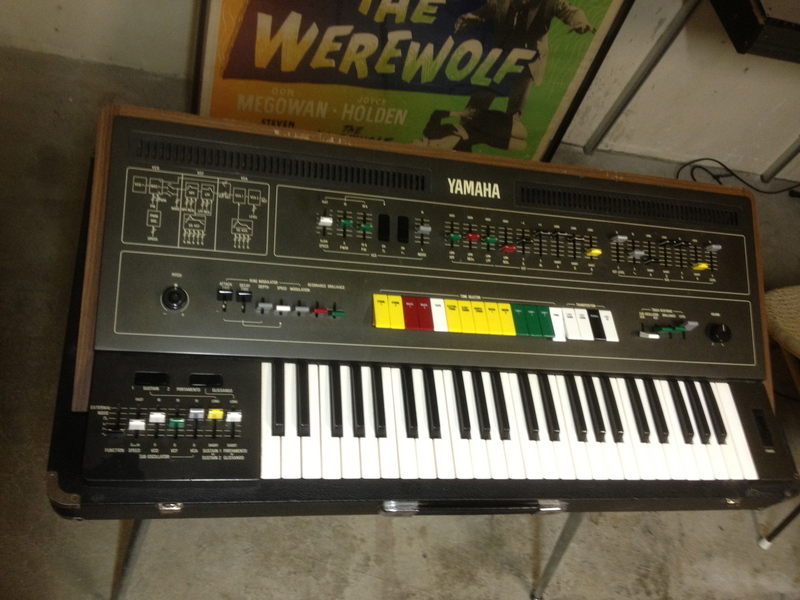 ), anyway -responses were thin and expensive except for a ‘broken Yamaha CS50’. I went for a look and hey-ho next thing I knew I had a $600 CS50 in the back of my car. Considering perfect ones sell for $1200 – $2000, the price was probably high for how little worked on it, but I decided to take a chance since I like a challenge. It came with a lid and legs. A good looking specimen. All slider caps are present. The keyboard is in great shape. Not too many scratches. Even came with the legs. 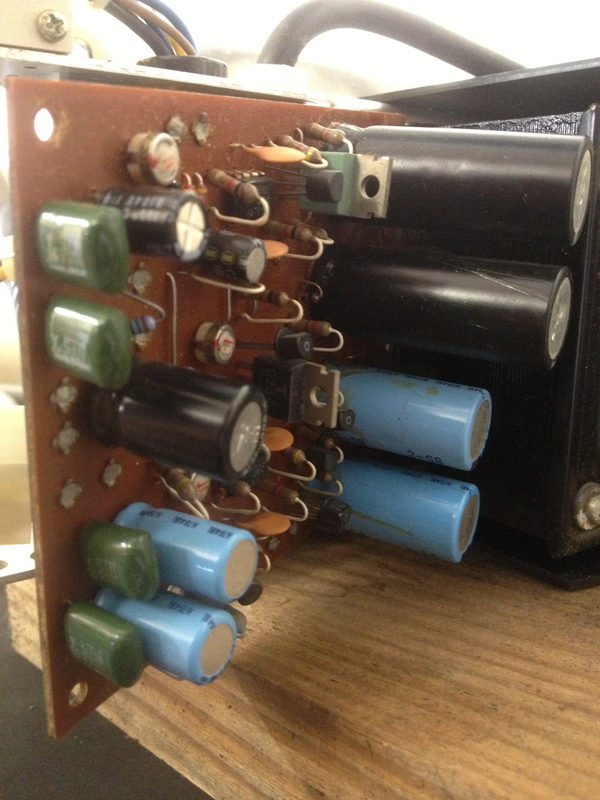 The LFO control board has a bunch of paint loss in the lower left corner -like the PO played with a metal band watch on.